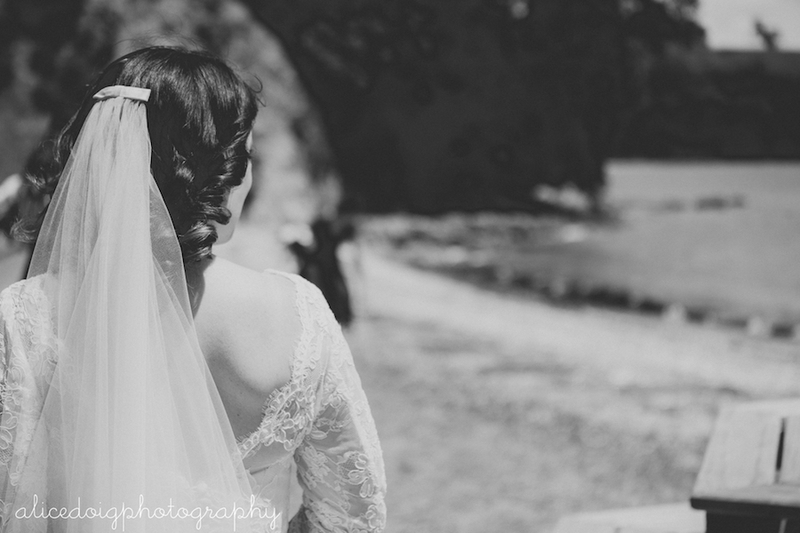 From the very beginning, Jess knew she wanted to wear her family heirloom pearls. 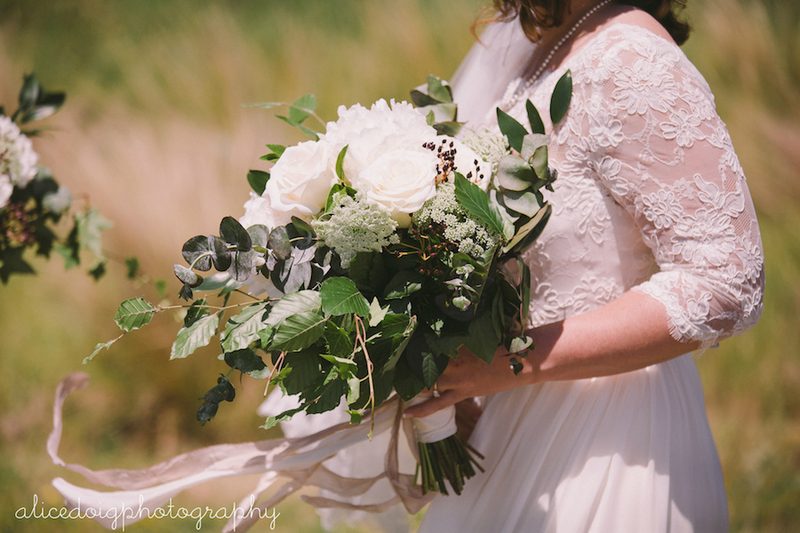 She brought them along to her first meeting with us and we used them in the design process to select the lace, colour and style of her wedding dress with sleeves. 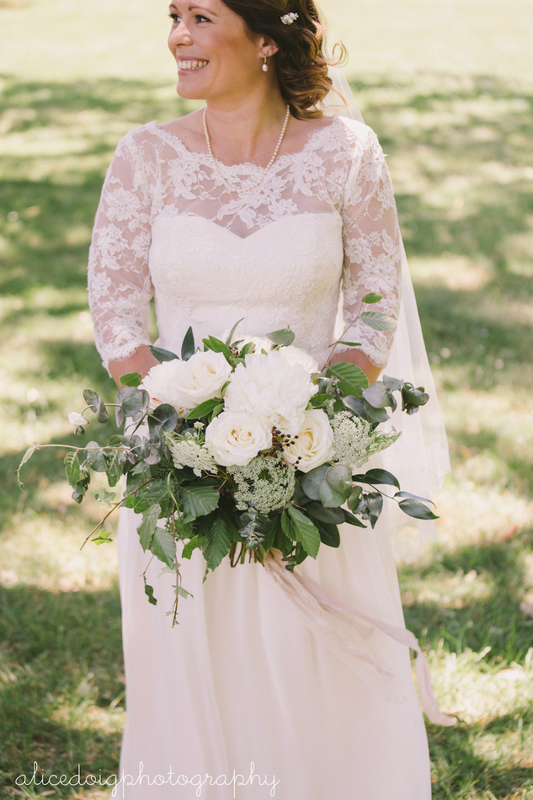 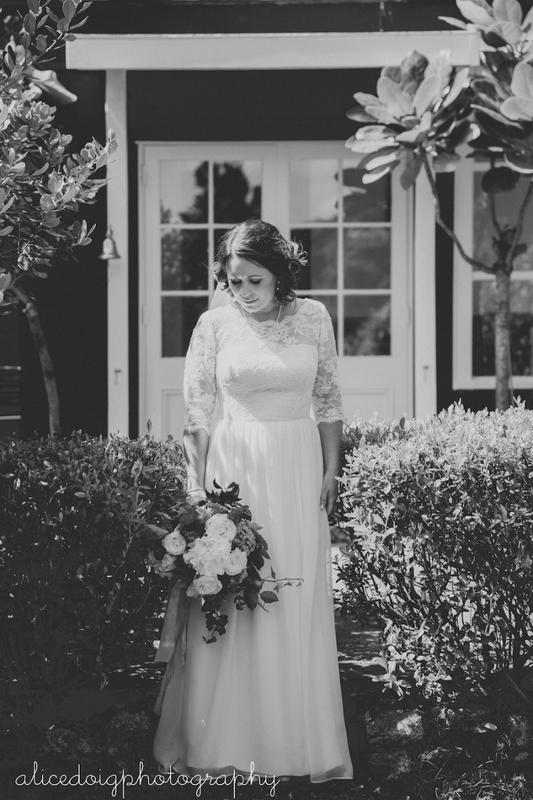 Jess was looking for a romantic gown with a subtle vintage touch, the end result was a beautiful soft, silk wedding dress with lace sleeves in a cream colour. 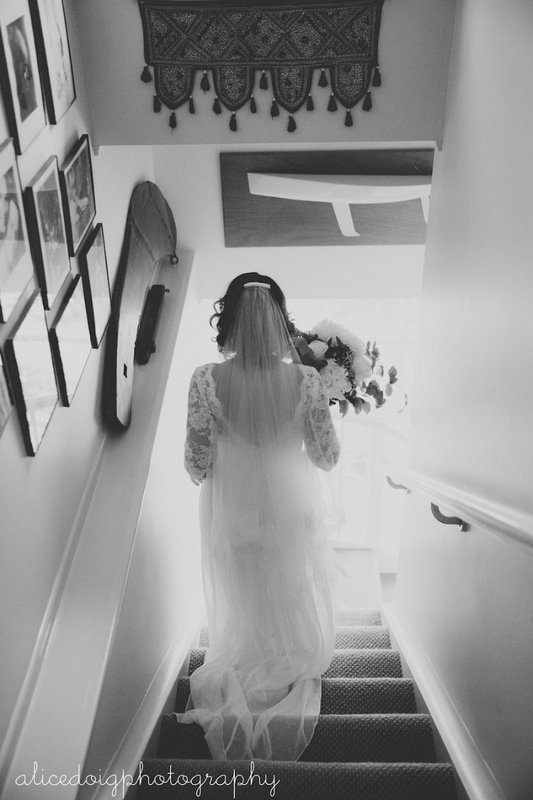 We also made a finger tip veil with a delicate lace edge to compliment her gown, the veil was finished with a small, flat bow on the comb. 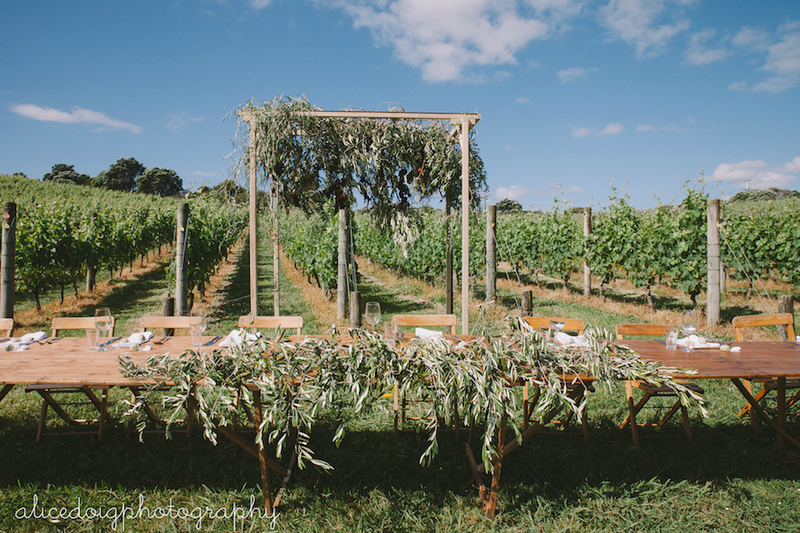 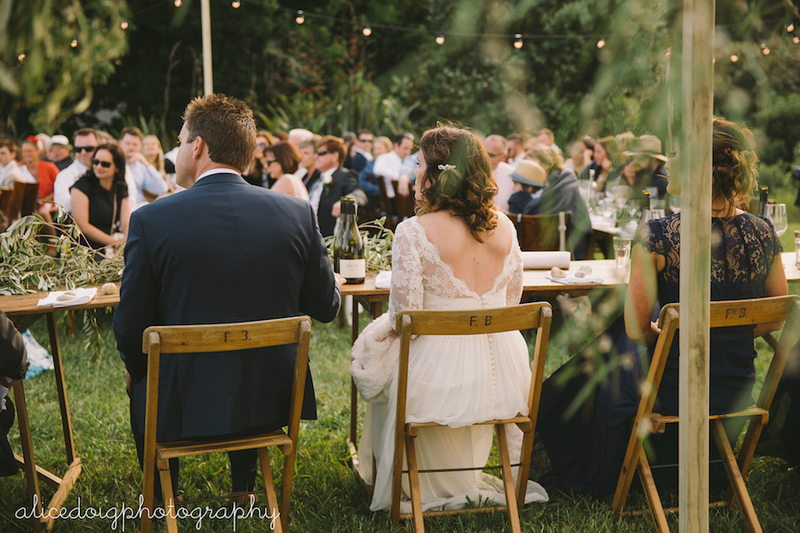 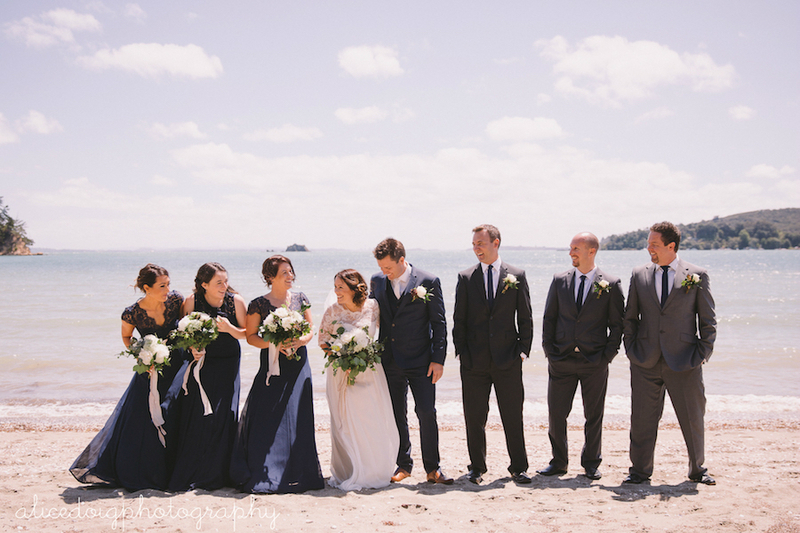 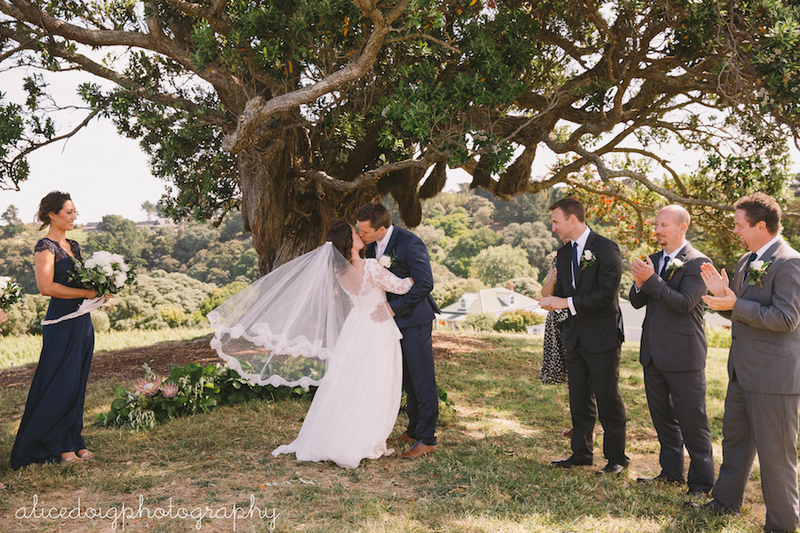 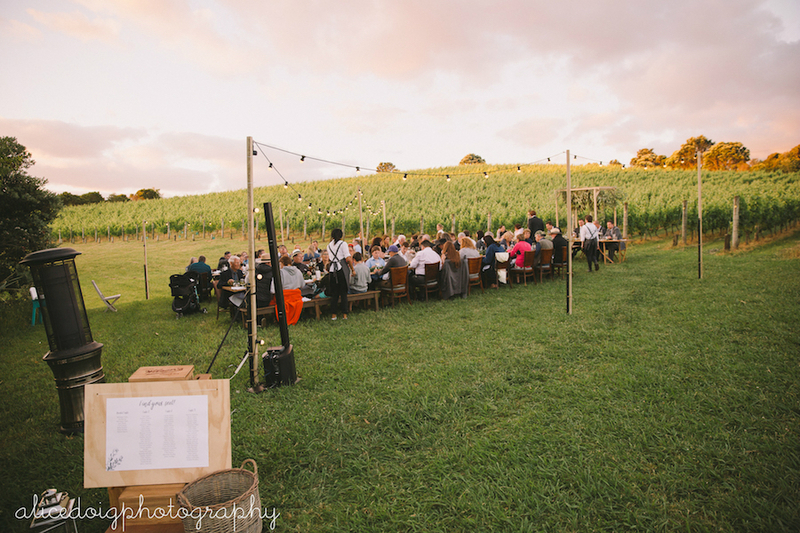 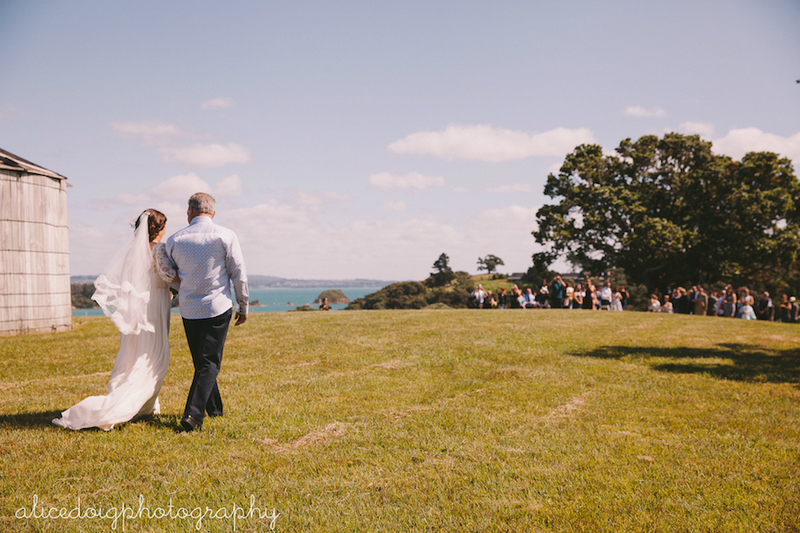 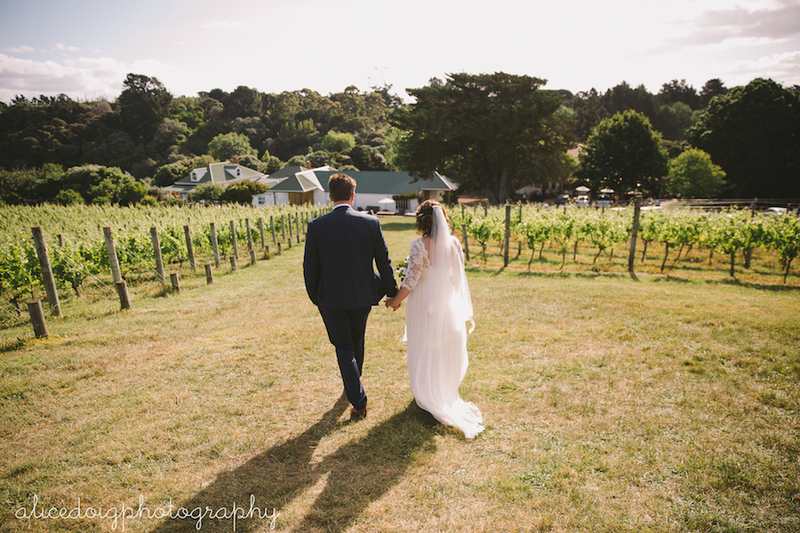 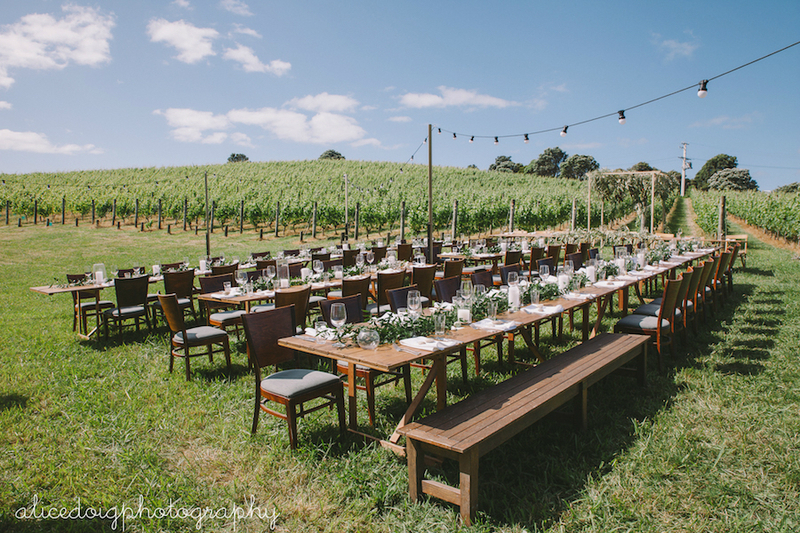 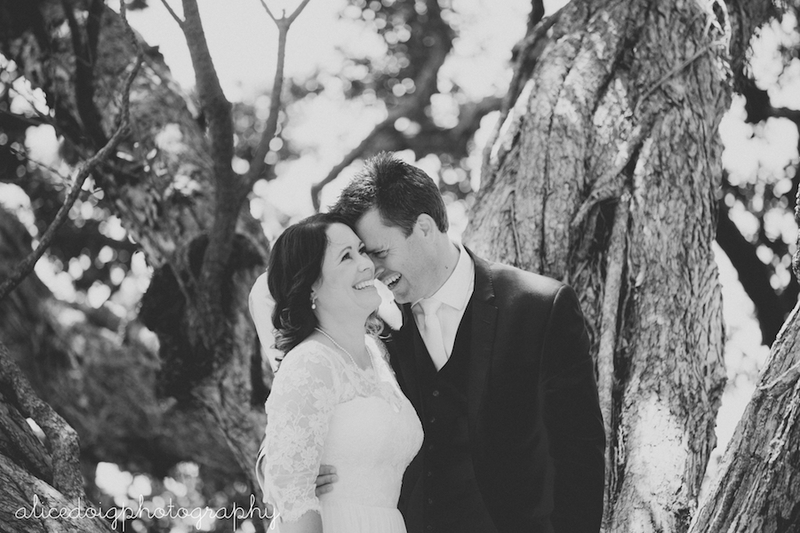 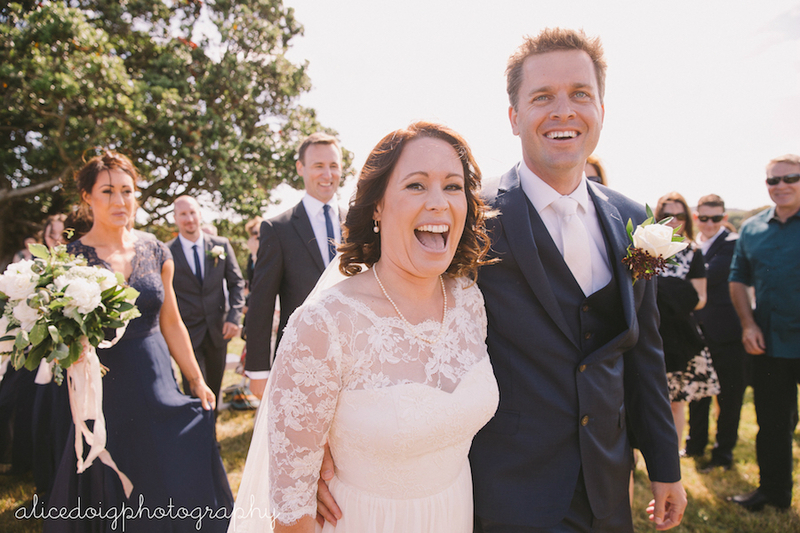 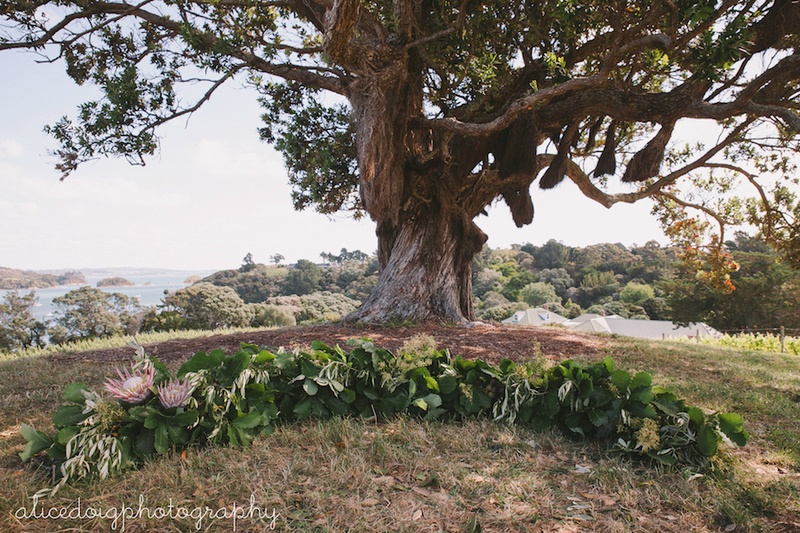 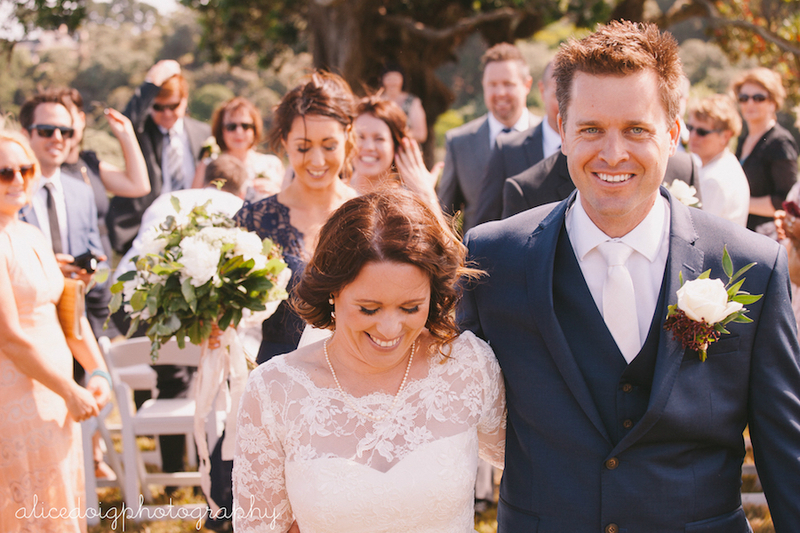 Jess and Chris decided to travel with their family and friends to Waiheke Island, just off Auckland in New Zealand, to get married at a beautiful vineyard. 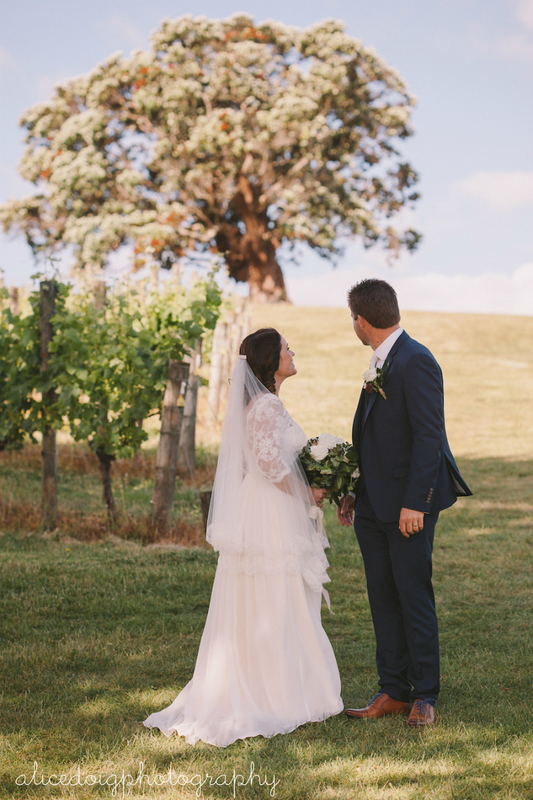 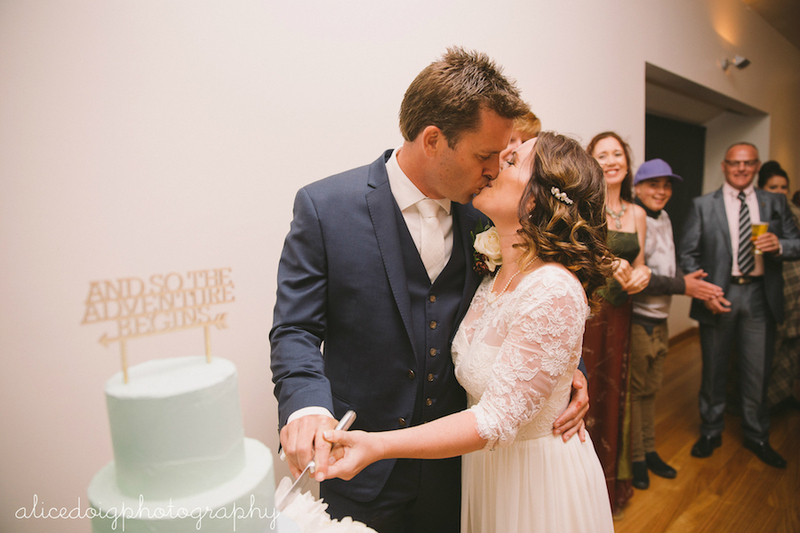 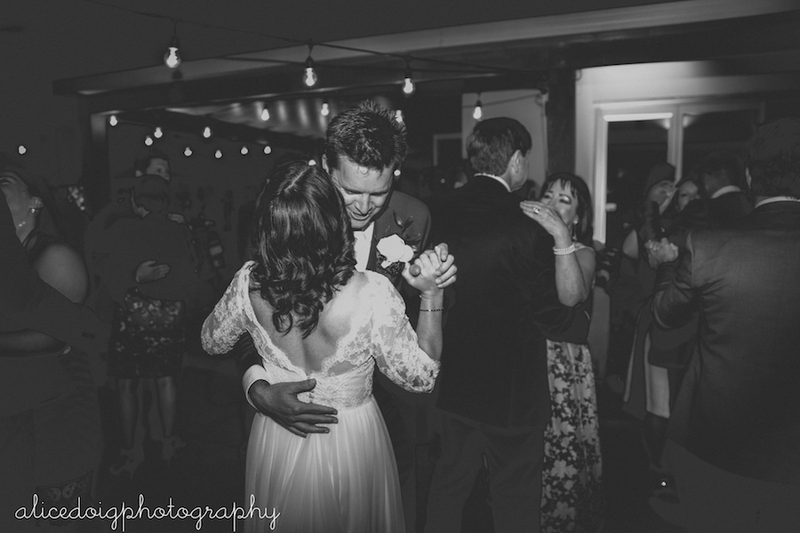 To say this wedding was beautiful would be an understatement. 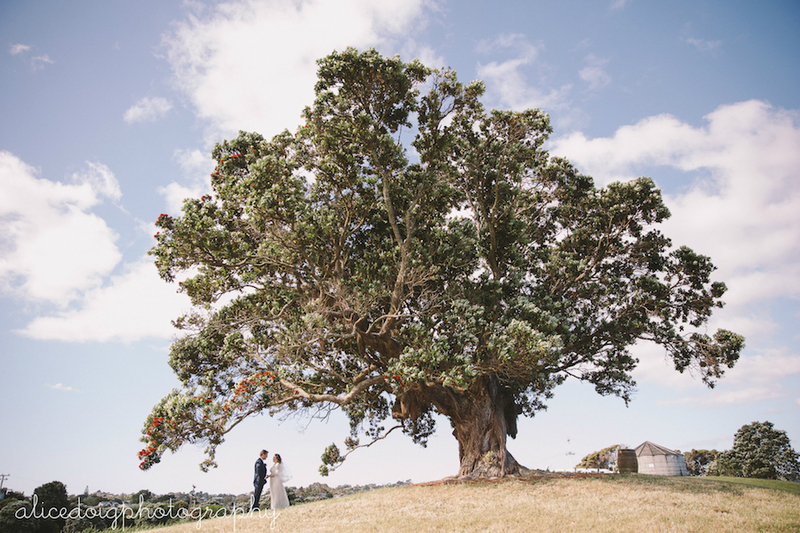 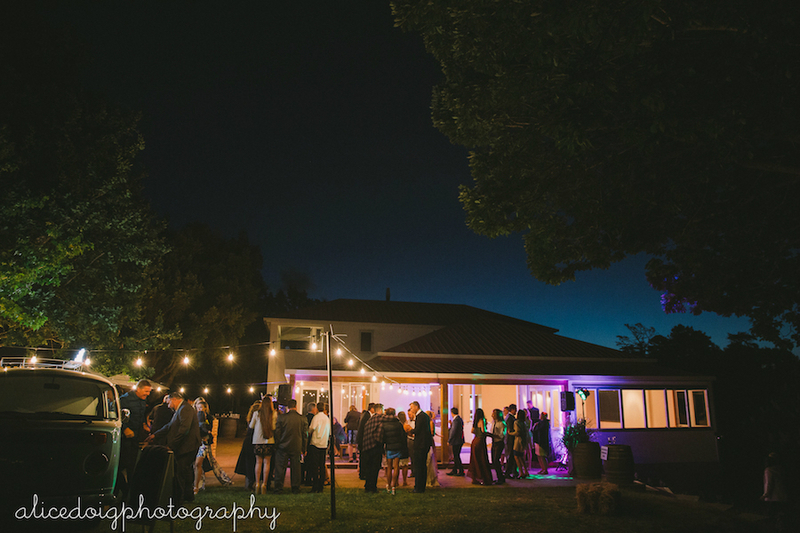 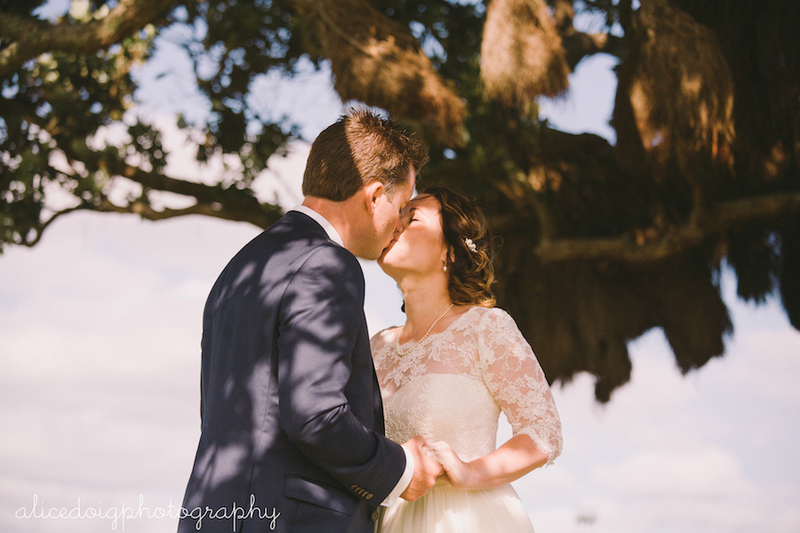 The couple exchanged vows under a beautiful big tree and held their reception under the stars. 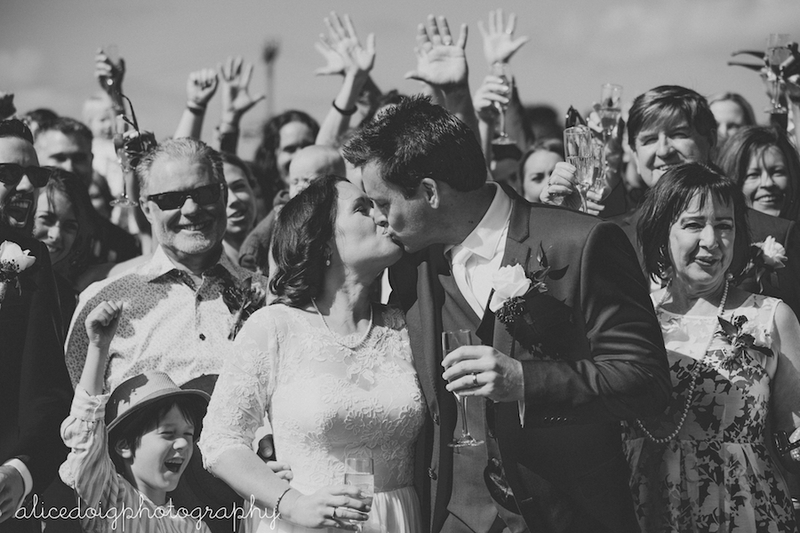 You can see that they put a lot of love and thought into their special day. 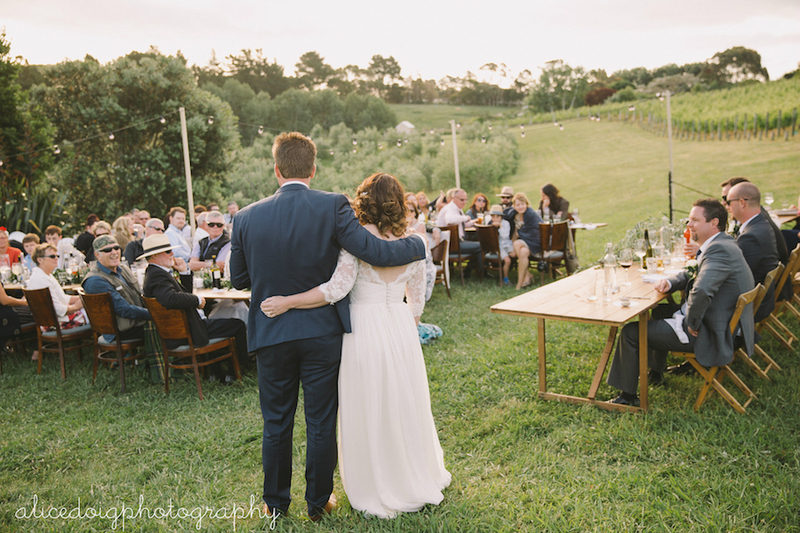 Congratulations Jess & Chris, thanks for sharing your special day with us!